The classic Chrome, Swivel Bar Stool, updated to include a wide backrest for ultimate comfort. A timeless design choice, this Bar Stool fits in with any kitchen. 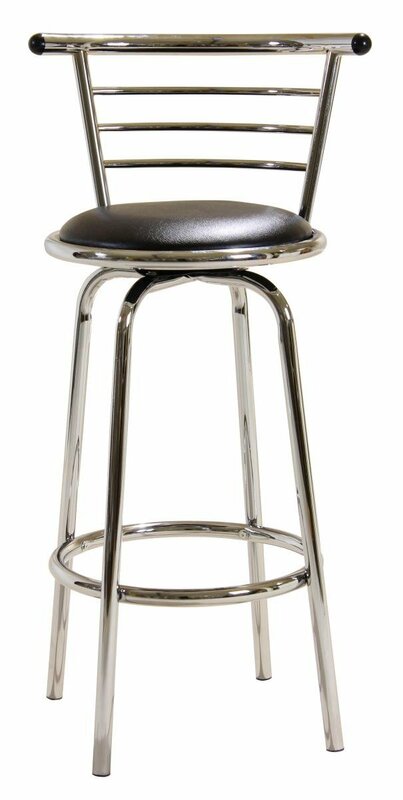 The Chrome legs and footrest with the Stylish Black swivel seat make this the classic Bar Stool choice for any home.